The Government of Pakistan is a federal government established by the Constitution of Pakistan as a constituted governing authority of the four provinces of a proclaimed and established parliamentary democratic republic, constitutionally called the State of Pakistan. 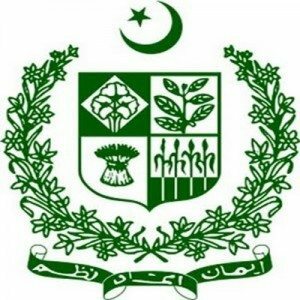 Applications are invited for the post of Chief Internal Auditor, National Fertilizer Corporation of Pakistan (Private) Limited (NFC), under Ministry of Industries & Production, Government of Pakistan, for its Head Office based at Lahore. The incumbent shall be responsible to check the malpractices/corruption in the organization and shall be reportable to Board / Audit Committee. Should be well conversant with the Government’s / Public Procurement Regulatory Authority’s Rules etc. Master’s Degree in Finance from recognized University of Higher Education Commission. Should be a member of recognized body of professional accountants; or certified internal auditor; or certified fraud examiner; or Certified internal control auditor. – Experience of candidate should be minimum 5 years in the relevant field. – Age limit should not be more than 50 years. – Appointment will be on contract basis for a period of 2 years extendable subject to satisfactory performance. – Lump sum salary shall be Rs. 150,000/- to Rs. 200,000/- per month (negotiable). – Applicants working in Government / Semi-Government / Autonomous Bodies should route their applications through proper channel duly accompanied with NOC. The applications along with detailed CVs, latest photograph and copies of testimonials should reach the undersigned within 15 days of publication of this advertisement. Persons who do not meet the above criteria need not apply. Only Shortlisted candidates shall be called for Interview. (Envelope may be marked as ‘Application for the Post of Chief Internal Auditor’). Personnel & administration Department, National Fertilizer Corporation of Pakistan, Alfalah Building (Tail Wing) Floor, Shahrah-e-Quaid-e-Azam, Lahore. Last edited by mubasshar; 5th June 2015 at 07:49 PM.